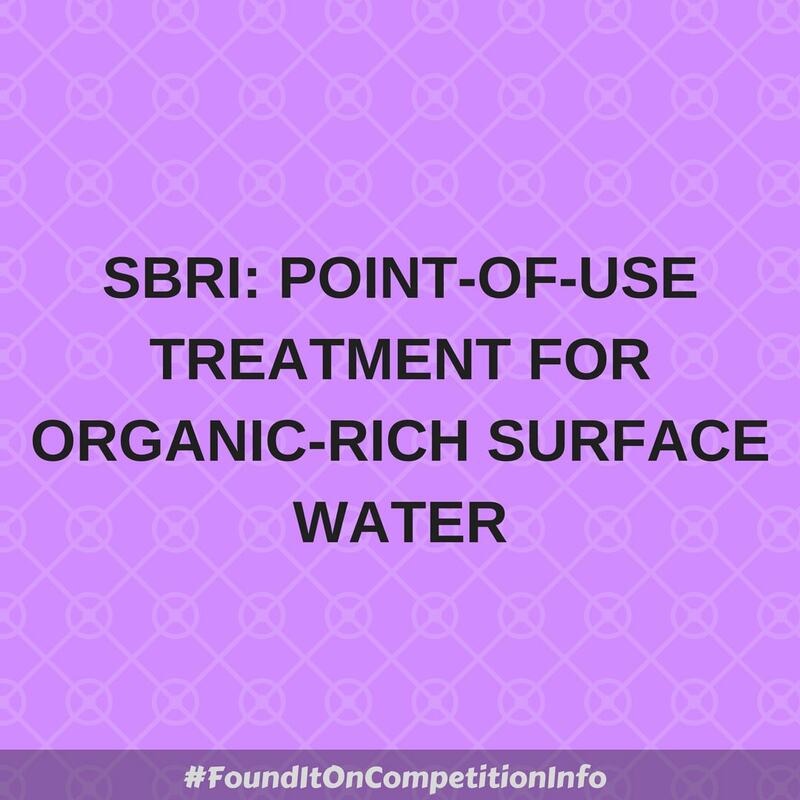 Organisations can apply for funding to develop ideas for treating high organic surface water at point of use. A share of up to £450,000. 6 March 2018: Briefing event. Download the documents. 31 July 2018: Feedback provided.